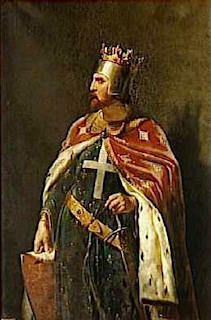 Richard I (king from 1189-1199) was a very brave fighter and had earned the nickname Cœur de Lion (the Lionheart) even before he became king. Unfortunately all that bravery in battle came at a cost: Richard spent less than a year of his 10-year reign as King of England actually in England! Some say that England was sadly neglected in his absence. As soon as he had been crowned he set off on a Crusade to the Holy Land. He won several battles but failed to take Jerusalem and instead negotiated a truce with Saladin, the Islamic leader. Setting out to return to England to stop a rebellion by his brother John, Richard was captured by the Emperor Henry VI and was held prisoner for 3 years until a large ransom had been paid. 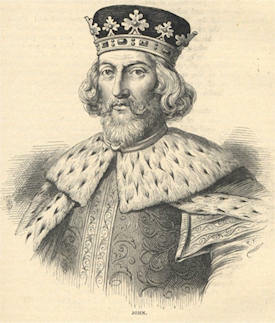 When he was free, Richard went straight to France to win back the territory that the French King had seized while Richard was in captivity. He won but was injured and died in France of his wounds.